Birdhouses have recently been a helpful metaphor for me in thinking through how people create interfaces to plants, animals, and micro-ecologies. 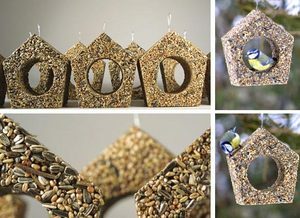 In looking for pictures of various kinds of birdhouses, I realized that birdhouses themselves come in an amazing variety of forms and shapes, and are a kind of touchstone for design over the years - from high design to DIY kits. 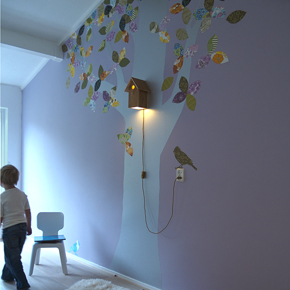 romp sells a wall decoration by Inke Heiland, which they accessorize with a birdhouse lamp in this picture. If you're a cheapskate, Creative Kids Stuff sells a simple recycled cardboard birdhouse, which, paired with an LED light, would make a great lamp. 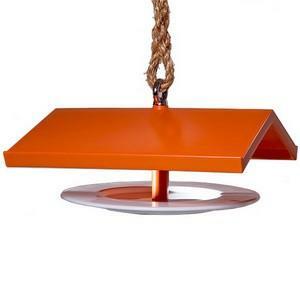 Droog Design sells its own bird feeder, of course. I find it a bit...impractical. Maybe it's designed for miniature birds? This one points to what I like best about the tools and artifacts of gardens: their design is often very tied to highly local needs (gopher wire, for example) because both humans and non-humans will be working with it. In this case, I don't think many of California's birds could fit underneath that roof. This one comes from a less famous source, and I find that I like it better. The shape references bird eggs. 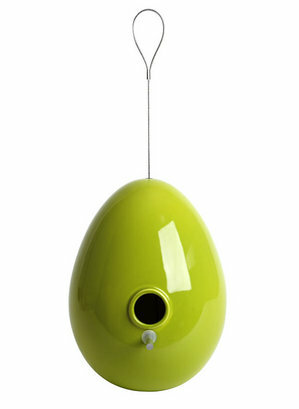 Through Inhabitat, I also found Atelier Oi's Edible Birdhouse, which seems...logical. 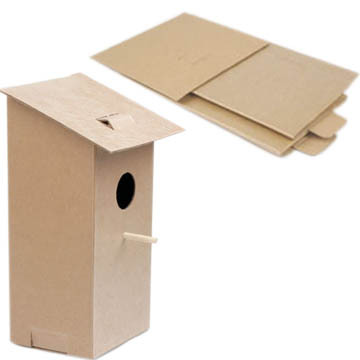 All of this birdhousing makes me want to design my own kit - using Pepakura I could probably come up with something easy to build...maybe out of recycled vinyl?